It’s half way through the week and you’ll think, “Wow, those last two days of Orientation week have been so fun, is it even possible to have more fun?” The answer to that question is: YES! Wednesday is home to some major events, so prepare yourself. Enjoy a special breakfast experience with tons of cultural food provided by the Ryerson Students’ Union. Free delicious food to jump start your busy, dance filled, record breaking day at Orientation week. Once you’ve grabbed some eats, head over to Kerr Quad Southwest Arch where we will have registration from 9:00AM – 11:00AM Note, there is no pre-registration, you are not required to be here right for 9:00AM, as open registration happens between 9:00AM – 11:00AM, but you are encouraged to come early and meet your team! Come and we will be able to register you, and you will be on your way to an amazing day of events! Note: Ensure that you have either your Ryerson Email or your Student Number on hand. Bring your activewear! Led by an instructor from Ryerson Recreation, Zumba fuses hypnotic Latin rhythms and easy-to-follow moves to create a one-of-a-kind exercise that will blow you away. Prove to your friends how truthful you are when you say, “I have no rhythm!” The class can be modified for all fitness levels. Real talk: If you’re living and going to school in downtown Toronto, safety is an important topic. Which is why we have invited an interactive theatre company to come and discuss information around sexual assault and safety in the city. At Mixed Messages, we are joined by our campus partners who have great supports and resources available for you! This event is for students living in residence. By this point, you’ve probably heard the term AL. If you’re wondering what it means, you can learn all about how they support you while throwing dodge balls around at the RAC. Spoiler alert: It means Academic Link. If you’re like me and you like to eat almost constantly then you’re invited for free food on your favourite Ryerson street – Gould Street. Our neighbors Salad King will be providing a delicious Thai meal that will excite the taste buds! If you’re a student who identifies with a visible or invisible disability, we invite you to learn about the services and resources available to you at Ryerson! We’re all here to help you participate in your academic experience. Lunch will be provided for all smiling faces. Every year we attempt to break an official Guinness World Record, which is a pretty big deal. All over campus students congregate in our glorious Kerr Quad to participate in some history making. What is the record we’re breaking, you ask? You’ll have to come out on Wednesday to find out! If you’re interested in either dogs or fitness, this is the event for you! Come to the Recreation and Athletic Centre and participate in recreational games like mini golf, plinko and table tennis! You’ll also get information about Ryerson Intramurals and Personal Training. This event will also introduce you to the RU Therapy Dogs from 3:30pm-5:00pm. The St. Johns Ambulance dogs are on campus every week during the academic year to provide stress relieving play time and cuddles, so don’t miss your chance to meet and cuddle Snickers and Kate! Many of us spend hours on the internet looking at cool projects that we never get around to. Try out Raise Your Paintbrush where we will providing paper lanterns and canvases that you can paint and decorate. Express yourself and get a potential room décor or gift in the process. Whether you’re a concert fanatic like myself or a first timer – this event is can’t miss if you’re into electronic music and enjoy dancing outdoors with hundreds, if not thousands of your fellow Rams! Joe Ghost and Manzone and Strong, two Toronto local DJs will definitely blow your socks off. 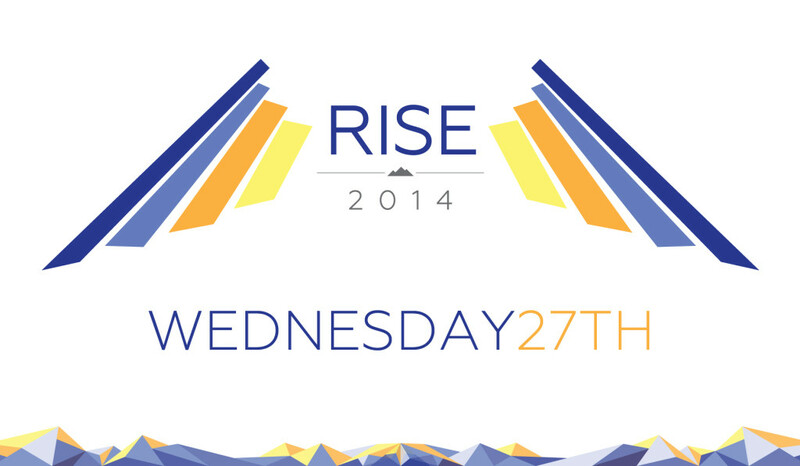 That’s a wrap of what you can expect on Wednesday August 27th 2014! It will be a day to remember for the rest of your university life, if you make it so!